The Devil Passes Federal Road Show Attraction : Direct From Sensational Los Angeles Run. 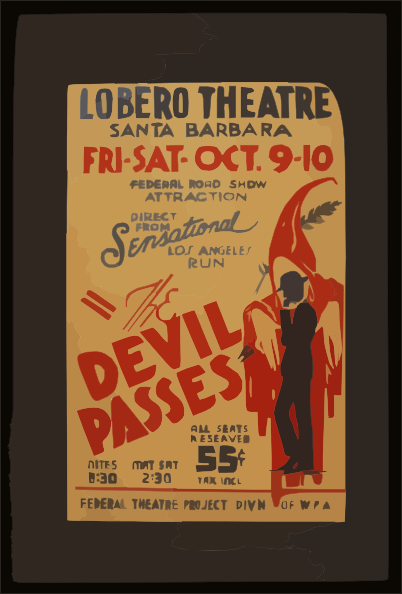 "The devil passes" Federal road show attraction : Direct from sensational Los Angeles run. The Devil Passes Direct From Sensational Los Angeles Run.